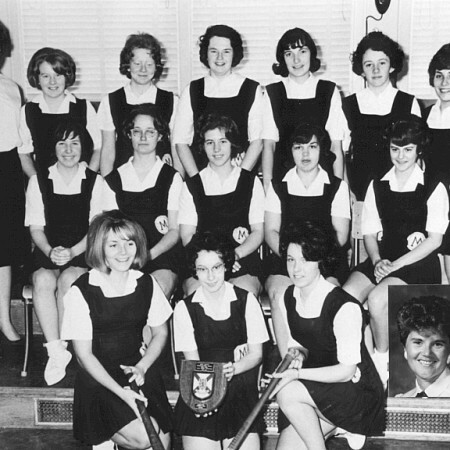 Back row left to right: Nadia Stokvis, Pattie Micallef, Coach Greg Bower, Stephanie Steeves, Nathalie Steeves, Melanie Barker, Kim McLaughlin, Melissa Welton, Jennifer Klein, Colleen McGuire, Sarah Connell, Coach Dave Matheson. M.R.H.S. 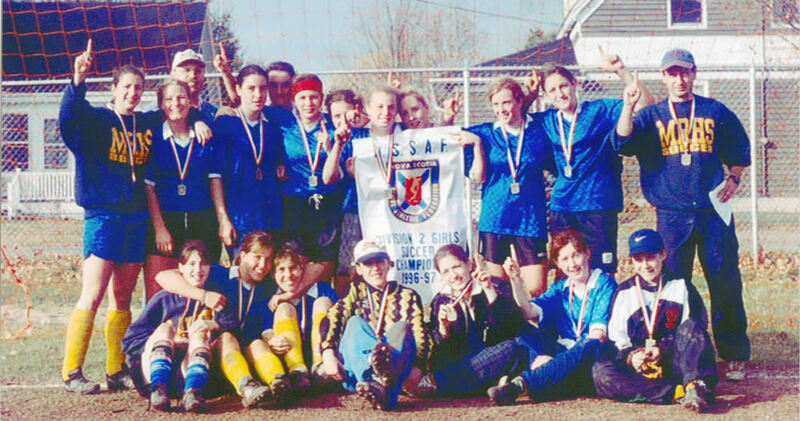 Senior Girls Soccer Pitbulls hosted the Nova Scotia School Athletic Federation Division II Championships on November 8th and 9th, 1996. The team was comprised of coaches Greg Bower and Dave Matheson and players from Grade 10: Sarah Connell, Bronwyn Cox, Katie Mitchell, Heather O’Donnell and Natalie Steeves; from Grade 11: Grace Boutilier, Mel Hudgins, Patti Miscallef and Stephanie Steeves; from Grade 12: Mel Barker, Jenn Klein, Cari Lockhart, Colleen McGuire, Kim McLaughlin, Laurie Melanson, Nadia Stokvis and Melissa Welton. Played in the bright fall sunshine the large enthusiastic crowd, behind the rallying M.R.H.S. Jazz Band, provided a great atmosphere urging the Pitbulls to persevere. 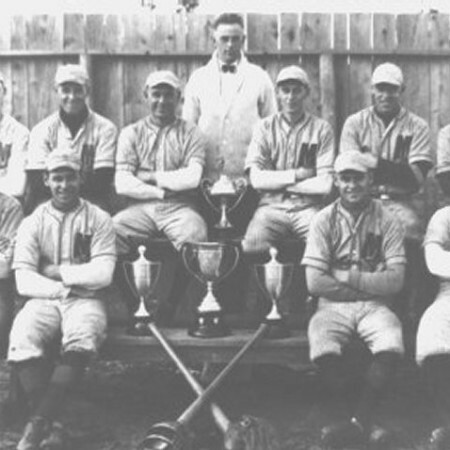 In opening day action the Pitbulls took on the Liverpool Warriors. Falling behind 1-0 the girls soon rallied and behind Melissa Walton’s two goals and one from Mel Barker they cruised to a 3-1 victory. In the other opening day game New Glasgow Panthers defeated Forest Heights 3-2 on sudden death penalty kicks. In the final game vs New Glasgow Melissa Welton scored on a breakaway at the 15th minute and at the 20th minute, Jenn Klein headed in a Mel Barker corner kick for a 2-0 lead. Keeper Cari Lockhart shut the door the rest of the way for Middleton’s first Provincial girl’s soccer title. Great excitement filled the air at the final whistle and the presentation of the N.S.S.A.F. Championship Division II Banner. The Sports Heritage Wall of Fame is pleased to induct the most deserving M.R.H.S. Pitbulls Girls Soccer team – N.S.S.A.F. 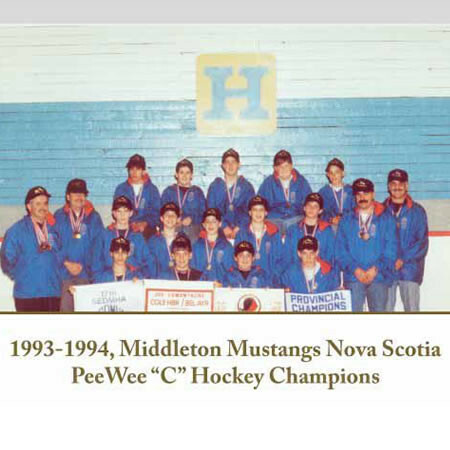 Division II Champions 1996-97! !